The 1st "Jim Clark Road Run"
Next 25th August marks our 10th Anniversary, and to celebrate this I am organising a very special event indeed. 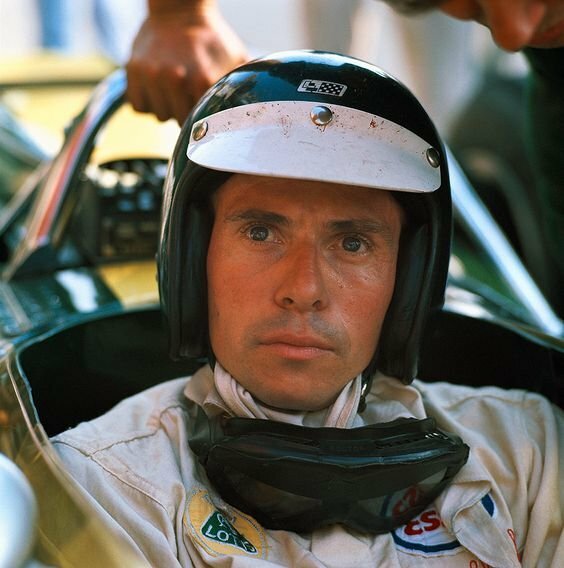 In memory of Jim Clark (Who's 50th Anniversary of passing, June gone), We are launching "The 1st Jim Clark Road Run". The Road Run will be limited to 100 cars. Each Car taking part on the day, will receive a specially designed plaque (designed by myself) which can be tied to the front of the car. These Plaques will become very sort after!!! They are Sponsored by Dragonfly- The Rally Plate Company. (You have to be there with your car at registration to gain the plaque!!!). The Road Run will take around 2 hrs starting at 10.30am just outside Linlithgow, taking in the beautiful surrounding scenery. Then arriving at Linlithgow high street, joining the other 100 parked classic cars. Parking is on the high street, the cross, and in front of Linlithgow Palace. It would be nice to see some members cars taking part. I'm working on a special guest to start the Road Run along with Doug Niven (Jim Clarks cousin) and the event opens and kicks off at around 12.30. Doug will be bringing along Jim Clarks last owned car- his Yellow Lotus Elan. In attendance also will be the Jim Clark Trust, who are now raising money for the 2nd phase of the Jim Clark Museum. It's a lovely day, great atmosphere too!! !